Dear friends, I want to show a book that I've done in a primary school with children, the children are 7-9 years old, we have been working on 4 mondays, 2 hours, 9 children. 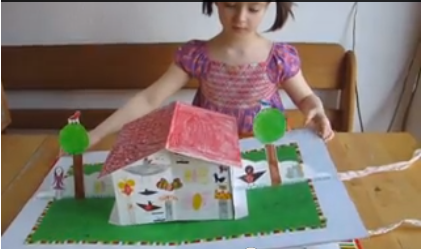 It is a pop up book, the starting point for our work was a poem by the German author Ursula Woelfel: If I had a garden. The children were thinking, how would a garden look like if they alone could determine it. We had a lot fun and it would be a great pleasure and honour for me, if the book arts friends would take a look at this garden pop up book. It is a delight. Thank you for sharing Klaus.